Made of Super-Tough glass filled Nylon. Clips on 1 inch tube hardware. Fast and convenient for tuning drums! Clip a TWEEK on your Hi-Hat stand! 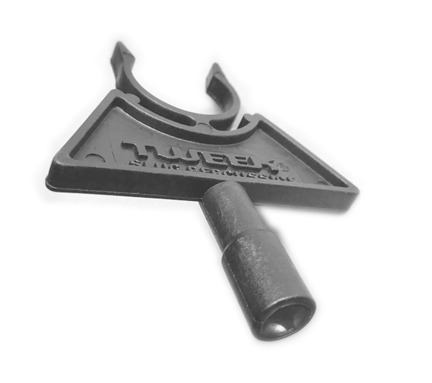 Recommended for tuning drums, the Tweek will not damage tension rod hardware like metal drumkeys can. 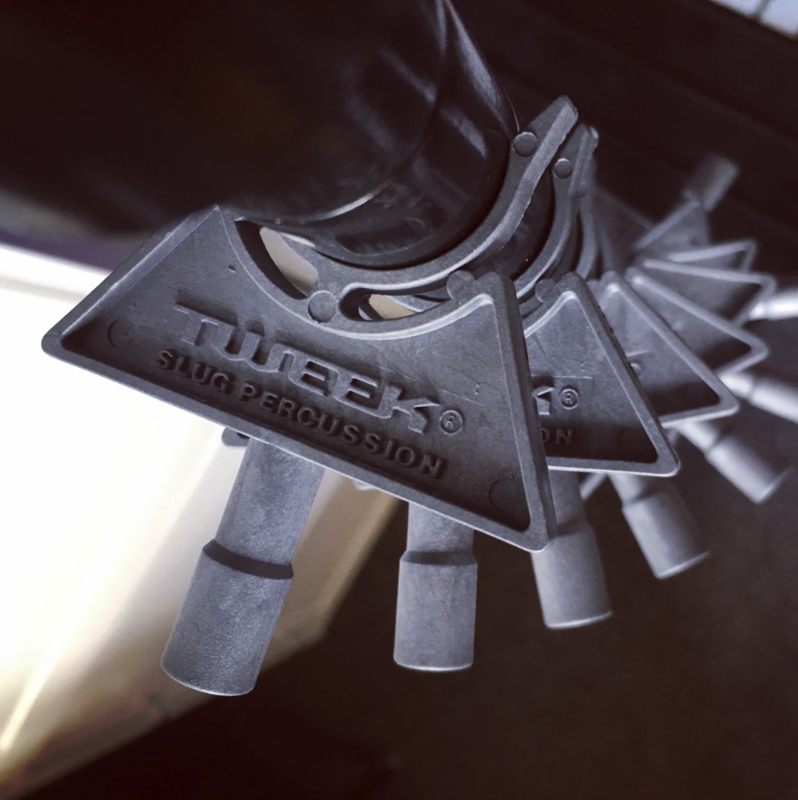 Made of Super-Tough glass-filled Nylon, the Tweek is much stronger than cheap "pot metal" drumkeys no doubt! Highly recommended for vintage drums and preserving instrument hardware. 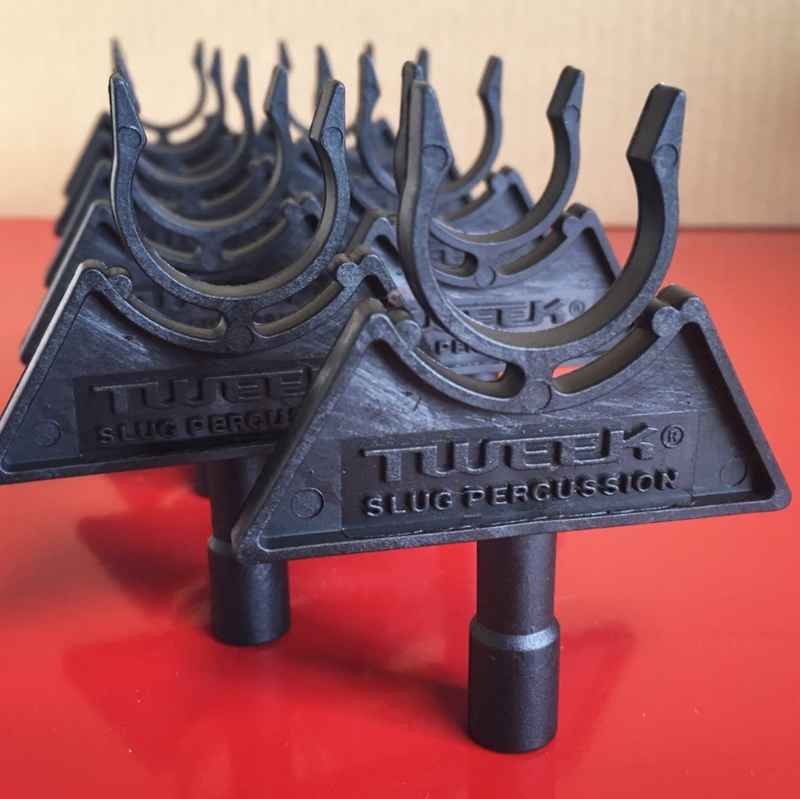 Slug can custom print your logo or message on black blank Tweek drumkey-clips for your shop, clinic, website or other special promotion. Available only direct from Slug!